Being at the top of the Wye Valley, Builth Wells is at a crossroads of great walking routes, and many of the best places to stay in Builth Wells are well set up for visitors on foot. It is also where The Royal Welsh Show, the largest agricultural fair in Europe, is held annually. And there are several lovely churches and places of historic interest. 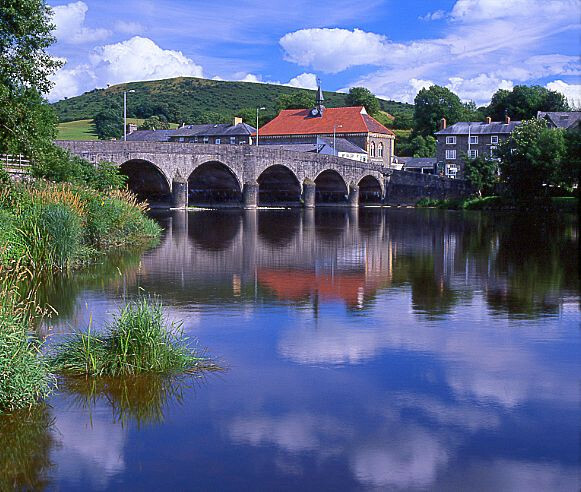 Not only does Builth Wells have a bustling, lively atmosphere, being located at the confluence of the rivers Wye and Irfon, it's also surrounded by some seriously special scenery. Enjoy a vivid mix of old and new at the Erwood Station Gallery - an old station beautifully restored to its former glory featuring a great selection of contemporary art and sculptures. Experience the dramatic Welsh Landscape with an overland guided tour taking in everything from waterfalls to mountains. If you're here at the right time of year, the Royal Welsh Show is a must-see featuring prized livestock aplenty along with an abundance of food stalls and entertainment. Spend some time at the historic Wyeside Arts Centre and enjoy a selection of everything from films to theatre to live comedy gigs. 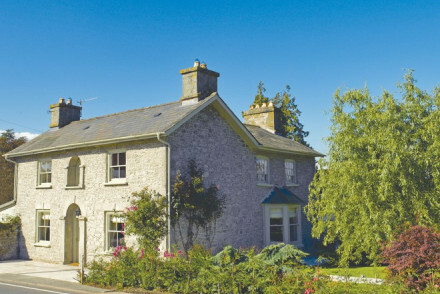 Our pick of the best places to stay in Builth Wells are ideal country retreats and perfect for a foodie break amid beautiful countryside. 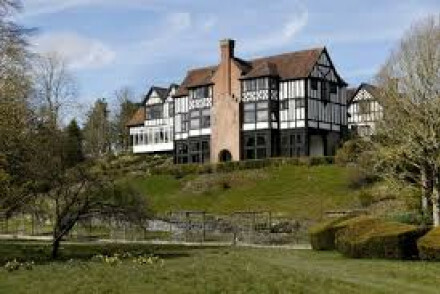 Caer Beris is an historic manor house set in 27 acres of spectacular Wye Valley turned three star hotel. Rooms are elegant, the atmosphere is friendly and there's always a roaring fire at the end of the day. 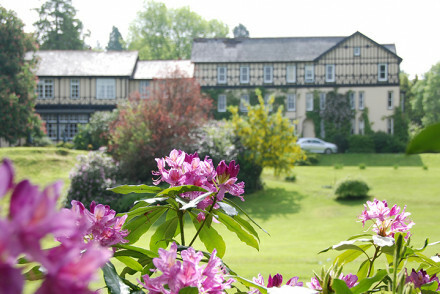 The Lake Country House Hotel and Spa is perfect for a pampering break away. And for those who prefer to be more active there's loads on offer too, including a nine hole golf course and tennis court on site. The Drawing Room has garned accolades from far and wide for its excellent food. In addition it offers three gorgeous bedrooms - it's a truly grown up, gourmet escape. If you'd prefer your own space, don't hesitate to visit our online partner Booking.com for a range of quaint properties throughout the village and surrounding area. Fly to Cardiff Airport located 117km (73 miles) from Builth Wells. The airport caters to several domestic and International destinations. Or hop on the train to Builth Road train station. Best time to visit - the summer months from June to early September provide the warmest weather for exploring the village and surrounding countryside. Alternatively widen the net and check out all our recommendations in Powys. This historic three star manor house set in it's own 27 acres of delightful gardens can be found in the Wye Valley where nature's fauna and flora abound. Friendly atmosphere with elegant rooms. Experience the best of rugged countryside and relax by a roaring fire to finish off your day. Fishing - Wye and the Ifron are close-by. A charming 18th Century Georgian house, nestled in the breathtaking Welsh countryside. Classic rooms offer understated elegance, comfort and peace. The award winning restaurant is the beating heart of this hotel. Spectacular rambling opportunities at this rural retreat. Value chic - An enchanting cottage with country chic interiors, fine dining and exceptionally warm service for a minimal price tag. Foodies - Indulge in a gourmet weekend away- mouthwatering food, from the best ingrediants and cooked to perfection. Great walks - Explore the colourful woods, tumbling streams, fantastic birdlife and windswept peaks of this wild countryside. Local markets - Discover the many local open-air markets, such as the weekly market at Llandrindod Wells. 19th century mock tudor property set amid stunning 50 acre gardens, offering stylishly furnished rooms. The dining room is spacious and dignified and serves award winning food. Plenty of activities on offer and a thoroughly relaxing spa. Ideal for a weekend break away from it all. Great walks - To the south of the hotel there are the stunning Brecon Beacons and Black Mountains. Fishing - The River Irfon, runs through the hotel grounds adjacent to the fishing lake.